Believe it or not, just upgrading your graphics card will make a world of difference! We understand that not all gamers follow the latest hardware developments or are aware of the fact that you can quite easily upgrade most of your PC components yourself. All you need to know is how to do it, which is why we're here to offer a hand for fellow gamers-in-need. We'll walk you through the basics of a PC so you know what you're dealing with and how to safely upgrade your graphics card. We won't go into unnecessary detail here, but what you need to understand is that every single component is connected to the motherboard in one way or another. Dedicated Graphics Cards for consumers are almost always connected to the motherboard by a PCI-Express (PCI-e) slot. 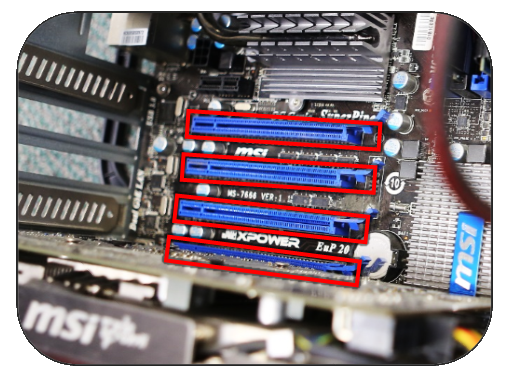 There are multiple variations of PCI-e slots, the most common are x16, or x4. Always remember that a Graphics Card needs to be placed into a x16 slot, which is physically the longest PCI-e slot. Typically, a graphics card is not just plugged into a PCI-e slot on the motherboard, but it is also secured with a screw at the backside of the case. With the side cover of the case removed, you should be able to see and access the screw(s) clearly. Depending on how big the graphics card is, it will be secured with either one or two screws. To be able to remove the graphics card, remove the screw(s) holding it in place. The more powerful a graphics card is, the more power it will need to work. This means that many graphics cards today have separate 6- or 8-pins power connectors located at the top end of the card. If your old card has one or more of these cables plugged into it, go ahead and carefully unplug them before moving on. Once the old card is unplugged and no longer secured to the case with screws, you can gently push down or pull on the catch at the end of the PCI-e slot that holds the graphics card in. You should now be able to lift the old graphics card out of the case and replace it with the new graphics card. Once the new graphics card is placed in the PCI-e slot, make sure you secure it to the case by using the screws you removed from your old graphics card. Also don't forget to connect the power connectors at the top end of your new graphics card, this should be either 6- or 8-pins connectors coming from the power supply. After replacing your graphics card, the time has come to put your PC back together again. For the first time you start however, you might want to keep the side panel off. This will enable you to see if the fans on your new graphics card spin up when you start the PC. Plug all the cables that you've unplugged in step 2 back in again and put the power switch on your power supply back on I. Make sure you have all your peripherals correctly plugged in or your system might not work correctly. This means your power cable, monitor(s), mouse, keyboard and Ethernet (LAN) or any other devices you have. When you're sure that everything is plugged in correctly, press the power button and watch closely what happens. If your monitor shows the information it normally does when you start your PC, that's a good sign! Let it start up into Windows before the next step. 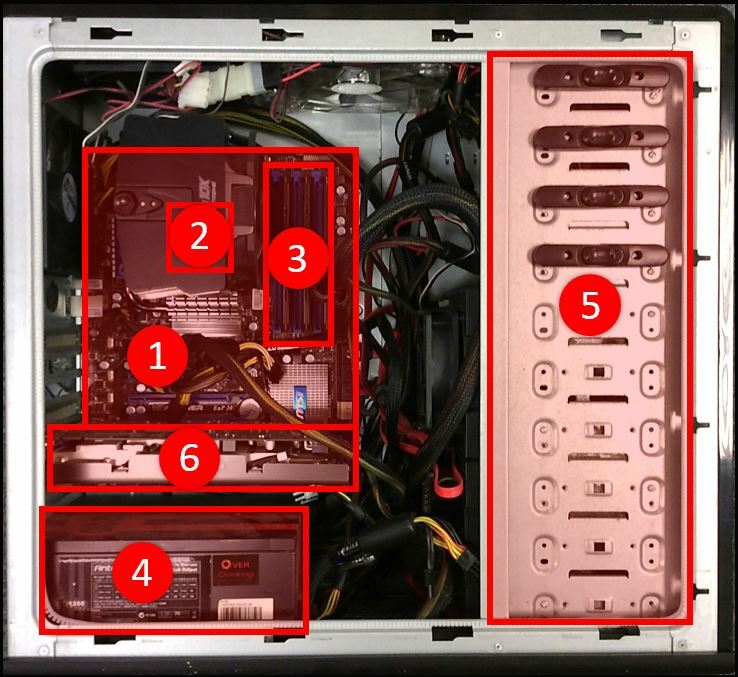 If your PC does not start or your monitor does not display anything after the PC starts up, check again if all the cables are plugged in correctly (don't forget the 6- or 8-pin power connectors on your graphics card!) and your monitor is turned on. If this doesn' t solve it, turn off the PC by pressing and holding the power button. Then turn it back on and watch closely if the fans of your graphics card start spinning in the first seconds after turning the PC on. If the fans do not start spinning, this might indicate a problem with the graphics card, in which case you should contact customer support. If everything goes according to plan, your PC should start up and you will be looking at your desktop. Before you start up your favorite game to see how well your new graphics card performs, you should first download the latest graphics card drivers from either AMD or NVIDIA depending on your graphics card. After you select and install the latest drivers for your graphics card, you should be good to go! Step 5: Time for GAMING! We don't have to explain this, do we? Start up your favorite game and see how it plays now. If you've done it right, you should notice a significant increase in performance by more frames per second. Meaning it will look and feel much smoother while playing. This would also be the ideal time to increase the graphics settings in the game and see how awesome the game looks in high, very high or ultra graphics settings! The MSI Gaming App provides one-click performance profiles and additional features such as LED control. Click here to learn more about the MSI Gaming App. If you want to unleash the true power of your graphics card and start overclocking for additional performance, we have a tutorial that explains and takes you through the process here! Click here for more information about MSI Afterburner and download the latest version. Disclaimer: Please note that MSI cannot in any way be held accountable for direct or indirect damages resulting from the instructions in this article or the use of MSI Afterburner, MSI Kombustor or any third party software.